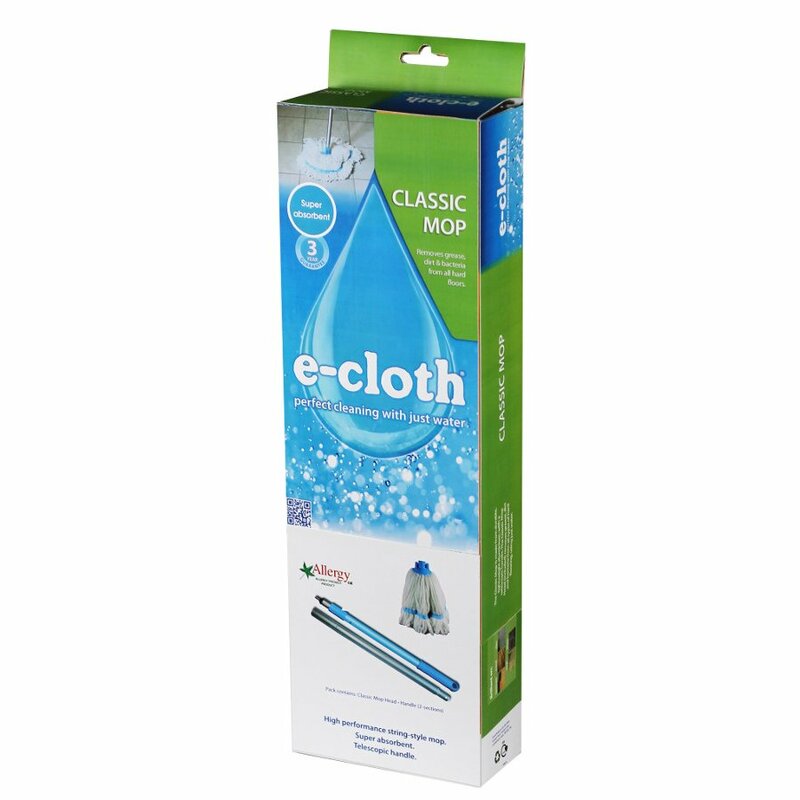 Remove the dirt and grease from all of your hard floors just with water and the Classic Mop from E-Cloth. It is made from strong yet lightweight aluminium, with a telescopic handle. (Adjusts from 1m to 1.5m for maximum reach) Only water is needed as the super absorbent, high density cleaning tassels quickly remove all of the dirt and bacteria. Guaranteed for 3 years. Machine washable. Happy with this purchase, used multiple times for my laminate flooring all throughout the house. I use with bicarbonate of soda with very dirty floors, and rinse with hot water. Comes with the retractable pole which packs away neatly.rnrnVery easily cleaned with hot water afterwards. rnrnWould recommend!